Munster centre Chris Farrell predicts that Ireland will continue to hit new heights under the leadership of Andy Farrell. The former Grenoble back missed Ireland's summer tour and the recent November internationals due to a cruciate ligament injury, but after making his comeback against Zebre last weekend, he is excited about the future. The announcement that Joe Schmidt will retire from coaching after next year's World Cup came as no surprise, and the Munster man says Farrell is the perfect replacement. 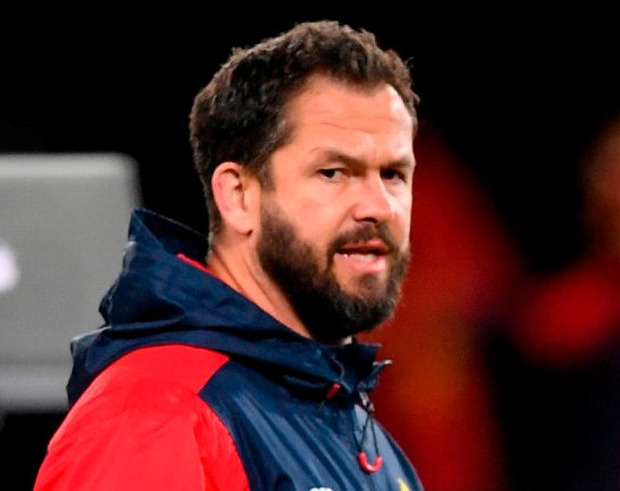 "No matter who comes in to help Andy Farrell, it's a player-driven culture and everything that he has done makes me think that's going to continue," said Chris Farrell. "(It excited me) massively. He's been unbelievable under Joe and it'll be no different whenever he takes over and whoever else comes in to help him. Inspiring "He's a massively inspiring character. You go into camp and the work that he has done prior to you going in there is phenomenal. And the work he continues to do while you in the camp is inspiring. He has so much charisma you really want to play for him. He was a legend playing Rugby League and he has continued that in his coaching. "Physically, he's a mountain of a man himself. He came in for two or three weeks here last season but it was the same: he had a lot of guys really looking up to him and he drove the standards again." Johann van Graan could give the centre his first start for the province since January against Edinburgh this Friday and the Munster coach has been boosted by the return of his international players to the squad. Some of his Ireland contingent will be available, although Darren Sweetnam faces an extended time out with a back injury.